So everyone’s musical tastes obviously differ greatly so in no way does this top ten list pertain to everyone’s taste. But in keeping with the spirit of democracy all four of us ( Weedabix, Cindee, Monkey Suit, and QuigQuig) at Endo.tv had an evening of music and herb, oh, and voting! These were the top ten results across the four of us 😀 Enjoy. It’s painful for me to see some of these in a rating system. But these spoke us to us the most for whatever reasons. We tried to make a list of music that appeal to a wide range of people, but since we’re all good friends we probably ended up with these ten rising to the top. 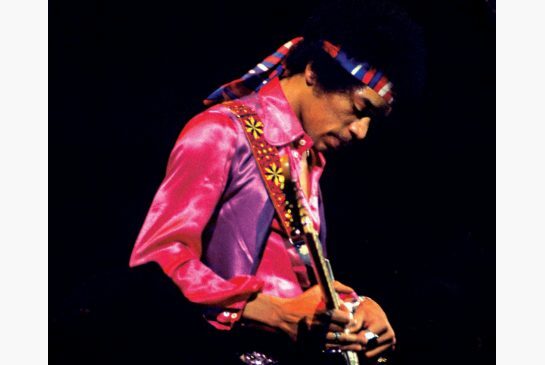 1: Jimi Hendrix: Jimi doing what he does best. SO pack up your bags and lets head to Pluto and set up a colony. All we needs are some good tunes and a bit of Northern Lights.